The MIT 100K Entrepreneurship competition is run as a series of distinct, increasingly intensive contests: Pitch, Accelerate, and Launch. Each contest focuses on developing specific founding skills, and for each semi-finalist contender, the MIT $100K brings together a network of resources, including mentorship from venture capitalists, serial entrepreneurs, corporate executives, and attorneys; media exposure; prototyping funds; business plan feedback; and discounted services. Additionally, more than $300K in non-dilutive awards help these new ventures accelerate. 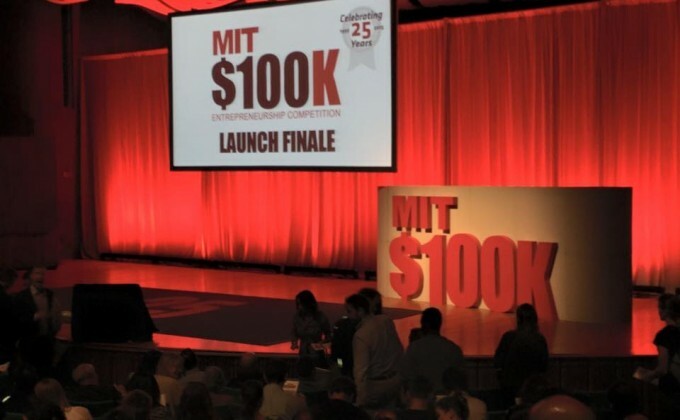 Pitch is the first contest of the MIT $100K. Participants practice articulating a 90-second pitch in front of a panel of experienced judges, get feedback on ideas and presentations from both judges and mentors, and compete for both the $5K Grand Prize and the $2K Audience Choice Award. Accelerate is the second contest of the MIT $100K. The purpose is prototyping. Semi-finalists will have a small budget, access to industry experts, and a dedicated month to test the idea’s manifestation into a product or service. They then present their prototypes behind closed doors. Ten outstanding finalists compete live for a $10K Grand Prize and a $3K Founder.org Audience Choice Award. Launch is the final contest in the $100K cycle. Semi-finalists are expected to present not just prototypes, but full business plans, and they receive funding and elite mentorship along the way. Finalists present onstage to a 1,200+ live audience from Cambridge, Boston, and beyond. Companies worth more than $16B in market capitalization have walked the stage before them. The Grand Prize? $100,000.